The application period for the Boyd Venture Challenge, a seed-fund grant that awards up to $20,000 to student-owned startup companies each fall and spring semester, opens October 11. The competition is sponsored by the Anderson Center for Entrepreneurship and Innovation in UT’s Haslam College of Business. 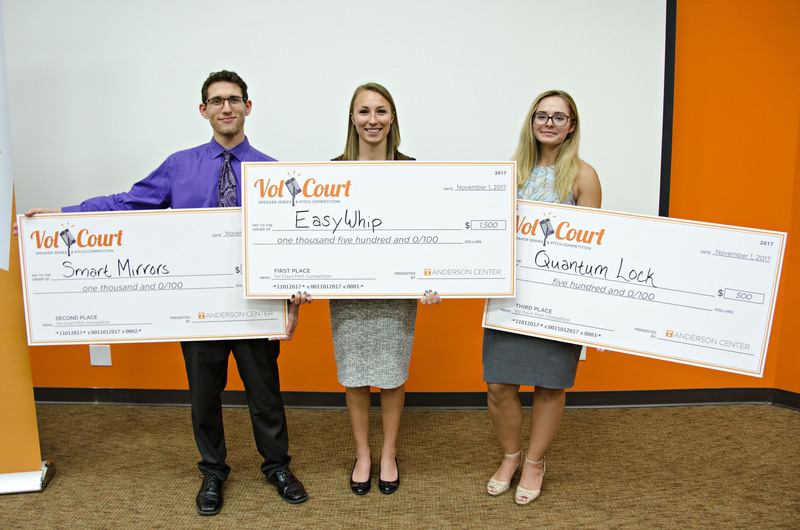 The challenge is open to any early-stage company owned by a UT student. Eligible companies must be legally established, and the student owner(s) must be enrolled in a UT Knoxville or UT Institute of Agriculture undergraduate, master’s, or PhD degree program at the time of application. To apply, students must submit an application to the Anderson Center by midnight Thursday, November 2. Applications should consist of an executive summary, requested funds, and milestones that will be accomplished with the funds if awarded. Full application instructions and eligibility details are on the Boyd Venture Challenge website. Teams that advance to the presentation round will pitch to a panel of local business professionals Friday, November 17. Since 2011, the endowed fund has awarded $312,000 to 34 student-owned startups.